Is solar power a new technology? The short answer is no. For example… think back to calculators. Do you recall ever having to change the batteries? Nope – do you remember putting your finger over that little strip and watching it turn off? Well these little devices are powered by the sun using solar cells and as long as there is enough light, the devices can essentially stay on forever. Neat, right? Everything requires power. And what better way to power than by using your very own solar energy provided by the sun. Solar cells convert sunlight directly into electricity. Simply put, solar cells are made of a material that absorbs a portion of the light’s energy and frees electrons – semiconductor. The flow of the electrons is controlled by electric fields. If metals are placed above and/or below the solar cells, energy can be drawn from the electric current and can be used to power devices. 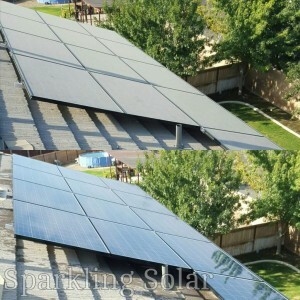 Solar panels are basically packages of connected solar cells. Well, how do I maintain my solar panels?